The 2018 city budget is out and it includes a familiar battle --- police and fire spending vs. everything else. We'll take a look at what is at stake. The Journal Sentinel sponsored a community discussion on where things stand on housing and segregation ... 50 years after the open housing marches. The fight over redistricting in Wisconsin goes before the US Supreme Court and the news in recent days of the attempted elections hack that wasn't. 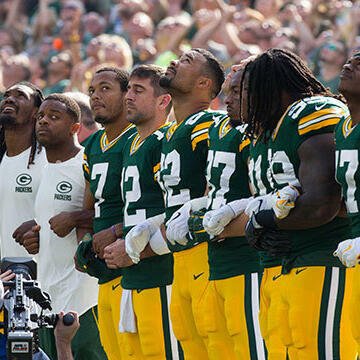 Meanwhile, with a Packers-Bears rivalry game, we'll talk about Donald Trump, the American flag and the how teams are handling the protests.